Most people have a great attraction to seeing the fish in our local waters, and the sea birds that dot its shores. Perhaps sharks and sea gulls are sometimes exceptions, but even they capture our imaginations if only for their less desirable characterizations. However, marine-reliant life, from microscopic algae to high-flying seabirds, will be impacted by climate change. While all plants and animals in our waters are connected, altering some of them has a stronger impact than others. Warming temperatures and increased nutrient run-off from storms can cause algal blooms that have ripple effects throughout the system. When this happens, dense blooms can damage seagrass beds by blocking light, decomposing algae can result in low oxygen levels that kill fish, and if the algae is toxic, there are further impacts to animal and human health. Sea level rise may take over our beaches, especially in areas where sandy stretches are pinched between hardened shorelines and encroaching tides. Salt marshes may not be able to survive the rapidly rising waters. The loss of both of these habitats would greatly impact birds that nest there, such as piping plovers and herons; animals like blue crabs that live and feed in these areas; and would result in a dramatic loss to our coastal marine life. 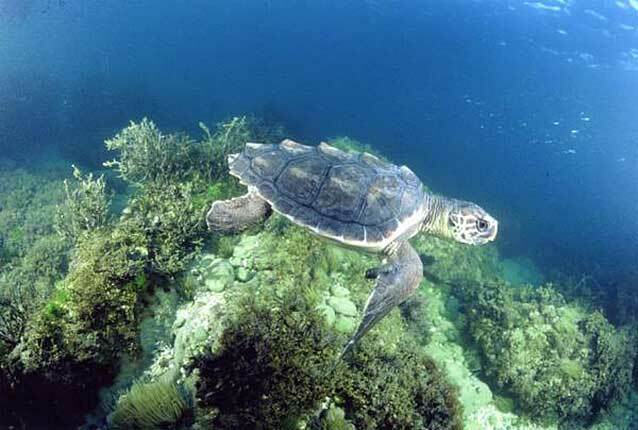 Even adult sea turtles, not a major population in the area, will be feeling the impacts, mostly in their more southerly nesting grounds. And it remains to be seen how the recent sightings of diamondback terrapins will be impacted by climate change. The lifecycles of the many plants and animals that live in our coastal waters is a delicate balance — and more carefully timed than any intricate routine on Dancing with the Stars. One miscue can send the dancers — or in our case, the marine food web — tumbling to the floor. In Narragansett Bay, warming waters have resulted in small ctenophore (teen-oh-four) jellyfish becoming more abundant earlier in the spring. This may only seem to impact you if you like to take refreshing spring swims but don’t like to be hit in the face with globs of gelatinous goo while doing so. But, this early arrival is causing big changes in some of our fish populations. Ctenophores are ravenous feeders. They especially enjoy dining on small fish eggs and larvae. Historically, water temperatures did not warm up enough for ctenophores to be really abundant until after most of the fish eggs hatched and larval fish had grown enough to be too big for the ctenophores to eat. This seasonal timing meant that baby fish survived to be adult fish that make more baby fish. But now that the ctenophores are showing up earlier in the year, more of the fish eggs and larvae are being eaten leaving fewer to grow into adults that you might count on catching and eating, like the winter flounder. Globally, all 67 oceanic bird species are especially vulnerable to climate change because they do not have many young each year. Seabirds face challenges from a rapidly changing marine ecosystem, and they nest on islands and coastal habitats that may be flooded as sea level rises. In the Northeast U.S., vulnerable species that nest in salt marsh habitats include salt marsh sharp-tailed sparrows, seaside sparrows, and willet. Coastal wetlands provide critical stopover habitat for migratory shorebirds that pass through Rhode Island waters. Most shorebird species forage on beaches and mudflats, or in low salt marshes that face impacts, if not obliteration, due to sea level rise.